Click on picture(s) to enlarge! The Vanmark Hydrolift Series 4000 vertical screw elevator provides a space-saving vertical feed conveyor which also provides a final rinse and settling point for rock and stone removal from root crop vegetables including potatoes, carrots, sweet potatoes, yams, beets, onions, as well as other fruit and vegetable products; while elevating it to the next step in your process. 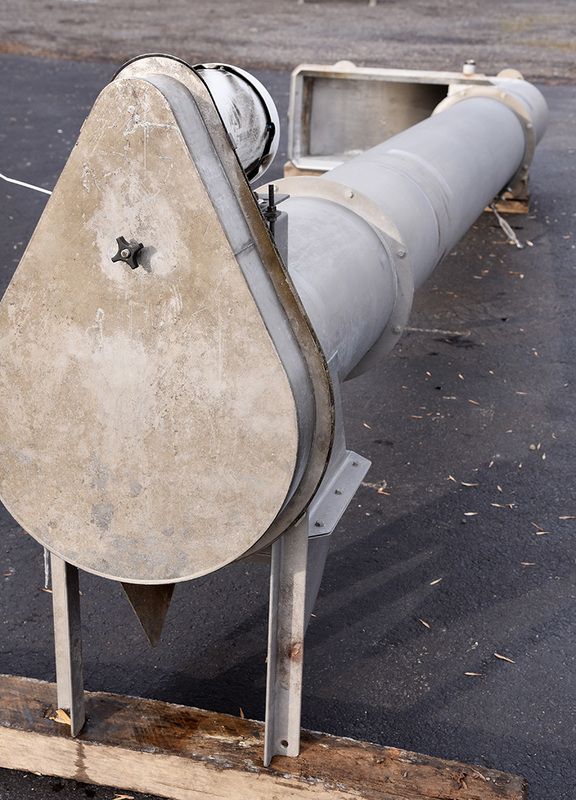 OPERATION: The vertical auger creates water turbulence that separates stones and debris from product, washes loose dirt away, and acts as a hopper-feeder lifting the product to the discharge point. Separated rock, dirt and debris settle at the bottom of the tank for manual removal. The Hydrolift also provides your product with a water-rinsing soak bath, where the use of anti-oxidants in the solution can help prevent discoloration and provide a final washing to improve the quality of your finished product. Combination all-in-one vertical elevator / dip tank configuration provides double-utility in a small footprint for maximum plant floor-space utilization. 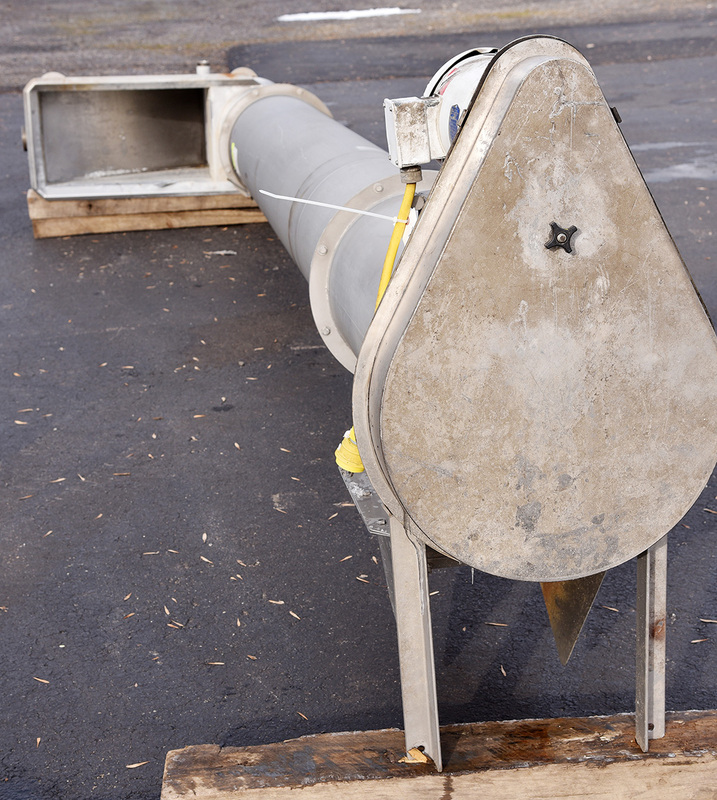 28 inch long by 16 inch wide by 24 inch deep stainless steel wet hopper infeed, with water inlet and bottom drain connections. 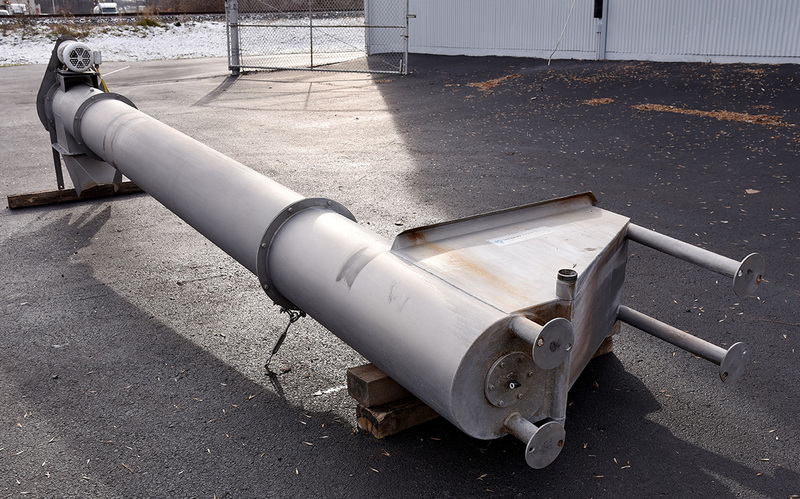 16-inch diameter auger allows for a wide range of food products, with high throughput tons-per-hour capacity. Currently configured for right-angle discharge. 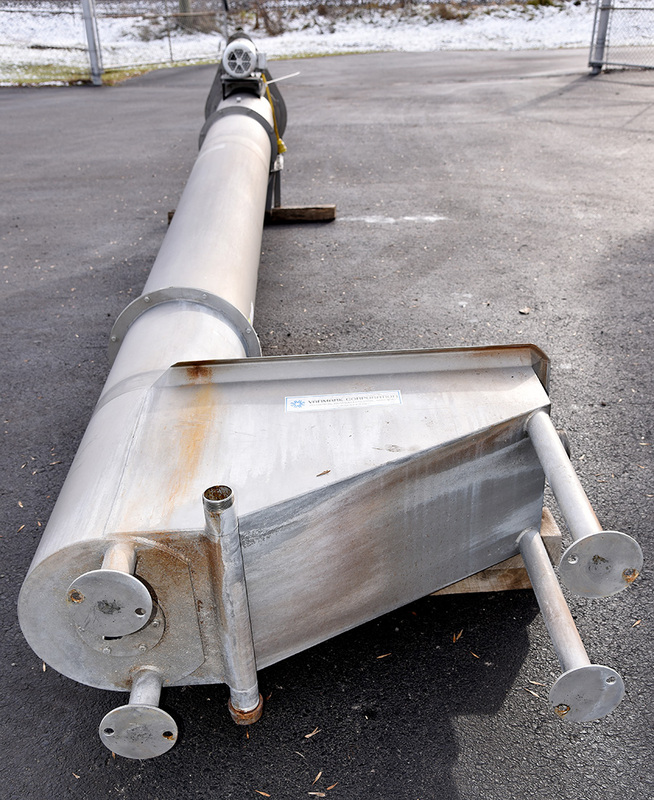 As of this writing, this stainless steel Hydrolift continuous incline screw auger is in stock at Alard, in good operational condition, available for timely shipment.